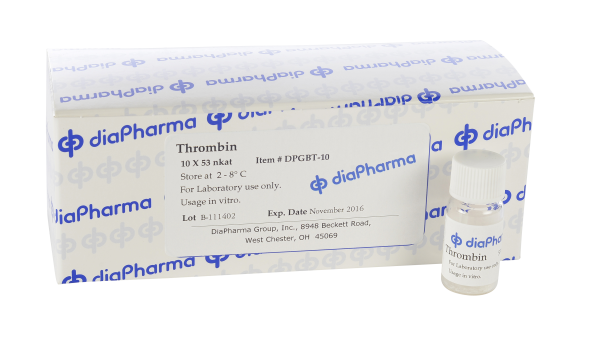 DiaPharma Bovine Thrombin is purified from bovine prothrombin activated by thromboplastin. 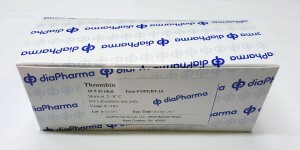 For the determination of Antithrombin and Heparin, as well as other studies where a highly purified Thrombin is needed. 53 nkat thrombin correspond to approximately 25 IU and 21 NIH-U. The activity of Thrombin can be measured using chromogenic substrate Chromogenix™ S-2238 (catalog number S820324).